I read a lot of different blogs around the internet and one blog in particular caught my eye because of its adorable name. 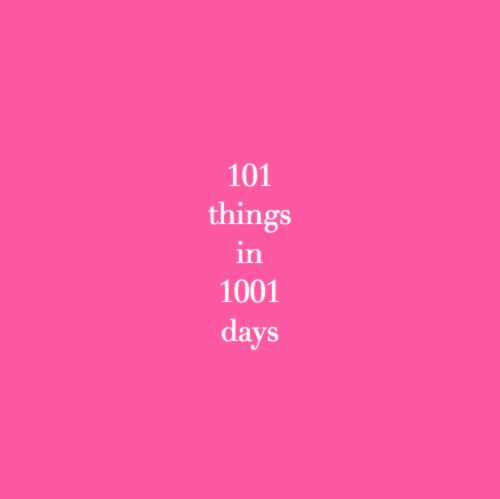 Pink Champagne Problems is written by a girl in NYC and on her blog she had a list of 101 things she'd like to do in 1001 days (the idea of 101 in 1001 was created by another blogger Mackenzie Horan). It's so true that the list is way better than a bucket list since it puts you on a shorter time frame. 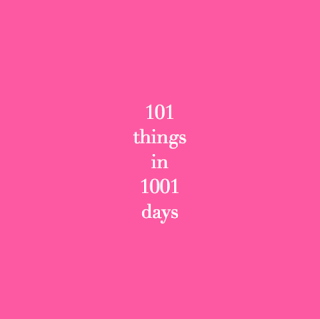 It also fits my obsession with making To Do Lists...so natch I wanted to create my own 101 in 1001. It seems this was most popular back 2013 but there are a lot of people still doing them! Here is my list. 002. Complete my first cross stitch stocking. 003. Complete my second journal. 004. Vote in the Presidential election. 005. Begin my Beauty and the Beast cross stitch project. 006. Reconnect with a friend from high school. 007. Celebrate something with champagne. 008. Find my personal scent. 009. Watch 26 movies, one movie with every letter of the alphabet. 010. Answer the 50 questions that will free your mind. 011. Watch a movie from the year I was born. 013. Dress up for Halloween. 014. Send a postcard to PostSecret. 015. Listen to every song in my iTunes library. 016. Listen to the Rolling Stone’s 500 Greatest Songs of All Time. 017. Complete a 1000 piece jigsaw puzzle. 018. Watch 10 of the IMDB Top 250 Movies. 019. Inspire someone else to create a 101 in 1001 list. 020. Complete a Pinterest project. 021. Watch every Gilmore Girls episode. 022. Watch 5 Ted Talks. 024. Send myself flowers just because. 026. Make a House of Cards. 027. Have 1k+ Instagram followers. 028. Duplicate an outfit from a magazine, blog, or Pinterest. 029. Have my nails featured on a blog, magazine, etc. 030. Try a yoga, pilates, Zumba, or other fitness class I’ve never tried before. 031. Bike 50 miles at one time. 034. Do the 8 angle pose in yoga. 035. Complete a Bike to the Beach. 036. Be able to do a split. 037. Do yoga every morning for one week straight. 038. Go for an evening run every day for one week. 039. Hike Every Trail at a State Park. 040. Work out 3x a week for 1 month. 041. Complete a race (like Tought Mudder or something). 042. Comfortably fit into a pair of size 4 jeans again. 046. Run 100 miles in 1 year. 047. Fit into my skinny jeans! 049. Try 10 new restaurants. 050. Attempt 10 recipes from Julia Child’s Mastering the Art of French Cooking. 051. Bake a Loaf of Bread. 052. Eat at a Food Truck. 055. Do a juice cleanse. 056. Make my own sushi. 057. Eat vegetarian for one week. 058. Bake a pie with handpicked fruit. 059. No fast food for one month. 060. Read a Classic Novel. 061. Learn a song on piano. 062. Read the entire Bible. 063. Take a free online class. 064. Take a photography class. 065. Get a job in the legal field that I really like. 066. Pay off one student loan in full. 067. Put away $1 for each completed task. 069. Invest in Hunter Wellies. 070. No shopping for one full month. 071. Buy a new phone. 072. Invest in a great pair of pumps! 073. Invest in a new Burberry coat. 075. Buy a pair of cowboy boots. 076. Have my palm read. 077. See a Broadway play. 078. Go to see a ballet. 080. Go to a concert. 084. Paint something at a Ceramic Store. 085. Selfie with the Welcome to Las Vegas sign. 086. Pose with a Wax Museum Figure. 087. Take a Trip with My Sister. 088. Stay at a B&B. 090. Celebrate my broski’s 21st birthday in Las Vegas, Nevada. 091. See a show in Vegas. 092. Visit my buddy in Maine. 093. Take a Diners, Drive-Ins, and Dives roadtrip. 095. Travel to 5 new states that I’ve never been to before. 097. See the Rockettes in New York City. 099. Volunteer for a cause I believe in. 100. Contribute $X (value private) to a cause I believe in. I will be adding this list under the top menu if you want to check back in on my progress throughout the next 1001 days. Fingers crossed that I accomplish at least some of these! If you would like to join in on the 101 fun and make your own list, be sure to comment below. 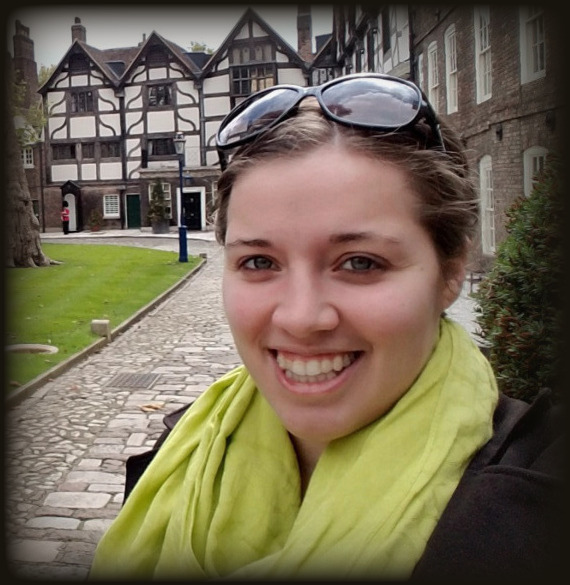 I'd love to see what goals you want to achieve! Oh and if you do end up creating a list that helps me with #19! Yay!